NEW YORK (Forex News Now) – The Australian dollar tumbled against its U.S. counterpart on Wednesday, hitting a 1-week low, in the wake of upbeat data on U.S. new home sales in September. In European afternoon currency market trading, AUD/USD hit 0.9668, the currency pair’s lowest since Oct. 20. The pair later consolidated around 0.9698, down a huge 1.58 percent on the day. The U.S. Census Bureau said earlier that sales of new homes rose in September for a second month, increasing 6.6 percent to a 307,000 annual rate and beating market expectations. According to intraday analysis, AUD/USD was likely to touch support around the low of Oct. 5, 0.9541, and encounter immediate resistance around the daily high, 0.9864. The Aussie’s staggering losses also came as speculation the U.S. Federal Reserve would take a gradualist approach to more quantitative easing next week prompted players to liquidate some short dollar positions, Reuters reported. 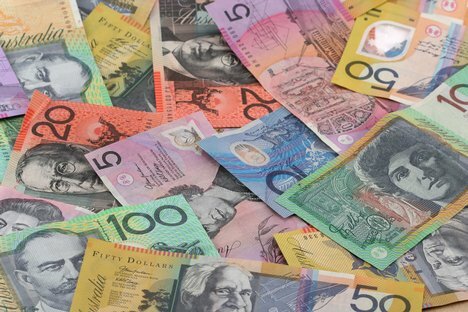 Elsewhere, the Australian dollar slumped versus the yen: AUD/JPY traded at 79.17, down 1.33 percent, according to intraday analysis.